A 100 per cent passing rate for INTI College Sarawak students in the Cambridge A Level (CAL) examinations, with an impressive 36 per cent of them scoring 3 to 4 A’s at the Advanced Subsidiary (AS) level, marks another successful outcome for INTI’s popular CAL programme. The recently released June 2011 exam results indicate that INTI students have the right approach to excel in a challenging yet globally recognized pre-university examination. Cambridge A Level high achievers pose with members of INTI College Sarawak’s management and A Level lecturers. Chua Hui Jen, a former SMK Pending student who obtained 3 A’s and a B in the CAL examination attributed her success to working hard consistently and having a disciplined approach to life. “In addition to hard work, and the helpful guidance by lecturers, I would say that taking responsibility for one’s own academic and life journeys is important for a student’s progress and success,” said Hui Jen, a recipient of the INTI-Laureate Merit Scholarship who aspires to become a pharmacist. Fellow scholarship recipient Ang Sze Tieng who scored straight A’s in the Advanced Subsidiary (AS) level examination had good reasons for choosing INTI’s CAL programme. “I frequently heard from friends and read in the newspapers about INTI’s excellent track record for the programme, which leads to the preferred pre-university qualification for many students seeking a strong foundation for university studies,” said Sze Tieng, formerly of SMK Kuching High. Hoping to pursue a degree in Biotechnology, Sze Tieng stressed that hard work, daily review of lessons and the guidance of her lecturers contributed immensely to her success. Tiong Ing Kiat who scored 4 A’s at the AS level stated that his lecturers motivated him to excel in his studies. “With their expert guidance, I was able to enhance my time management and critical thinking skills which facilitated my progress in the programme,” he said. A former student of SMK Sacred Heart, Sibu, Ing Kiat aspires to become a professional engineer. 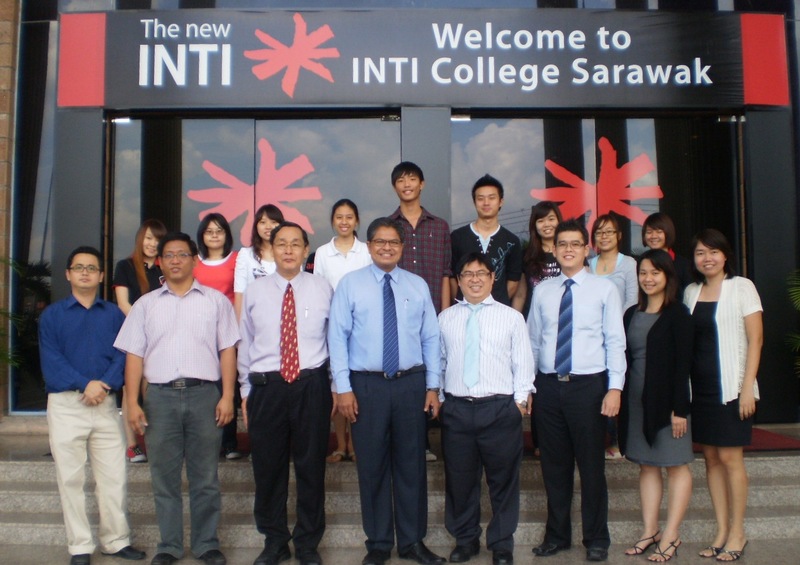 Commenting on the students’ performance in the recent external examinations, Mr. Clement Chang, Head of INTI College Sarawak’s Centre of Excellence for Pre-University Studies highlighted that, “the teaching and learning processes at INTI College Sarawak encourage students to tap their individual wellsprings of perseverance and determination along the academic voyage. This brings out the best in our students and goes a long way in the development of a positive attitude and mindset”. As one of the most recognized qualifications around the world, the Cambridge A Level programme provides students with a wealth of options, right from having the opportunity to gain entry into many of the best universities in the world and studying a wide range of professional courses, to equipping students with reasoning ability and thinking skills when they embark on their degree courses. Indeed, for students seeking a gold standard academic qualification that is recognized globally as the Gateway to World-Class universities, the Cambridge A Level programme at INTI College Sarawak stands out as the programme of choice. INTI is a part of Laureate International Universities, the world’s largest private education network with a presence in 28 countries, with more than 60 accredited universities and 130 campuses, serving more than 650,000 students globally. For further information on INTI’s Cambridge A Level programme, please call 082-570888 or visit INTI College Sarawak at Jalan Stampin Timur in Kuching.